One of my most-stashed yarn is from an indie dyer in the US who puts the most vivid colours on wool and silk: Sundara Murphy. 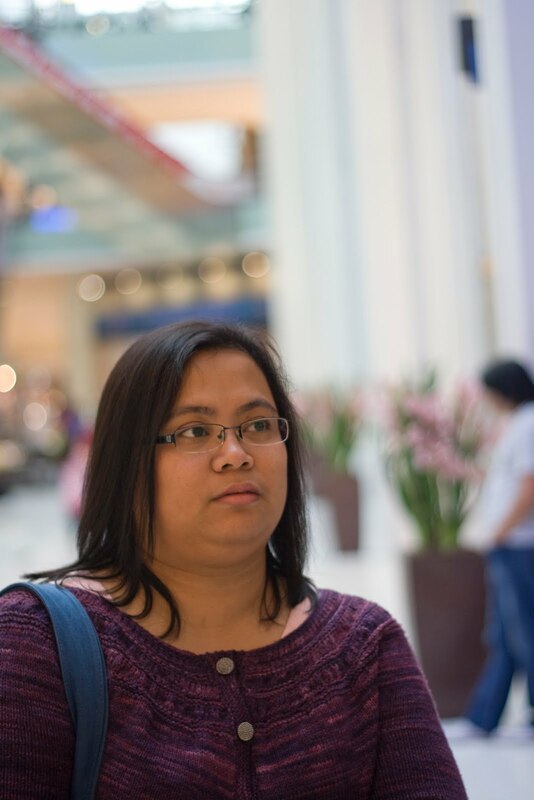 The first skein of yarn I bought from her was from the Seasons Collection in 2008. Unlike most Sundaraphiles, it took me ages before I managed to knit that first skein of yarn. I always knew I wanted to make socks with it and when I bought Knitting Socks with Handpainted Yarn, I fell in love with the first pattern on the book. 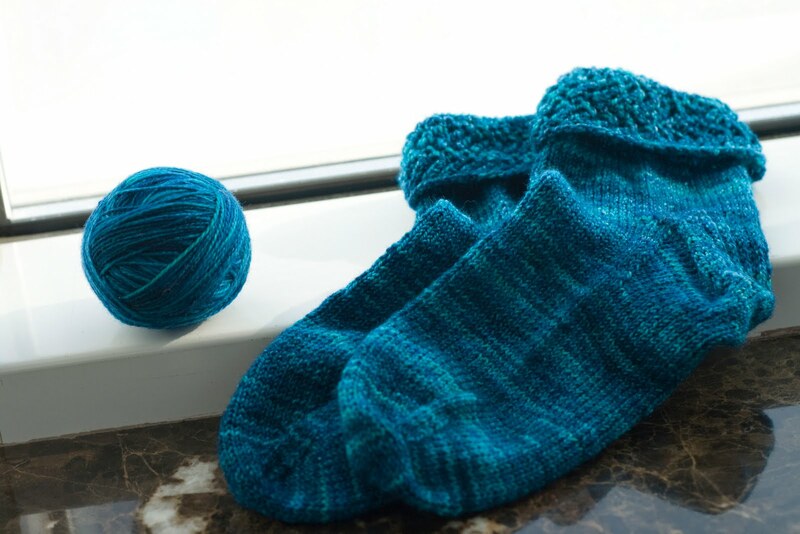 I knew then that I will knit a pair of Zigzag Anklets with me skein of Cerulean Seas sock yarn. And here it is. All done. Sadly not in time for Ravelympics 2010, but they are done regardless. I did not change anything on the pattern apart from the needle sizes used. I loved every moment of knitting this pair and cannot wait to work with Sundara Yarn again. Notes: Nothing that I haven’t already said above. I have ever only knitted 3 cardigans since learning how to knit. It’s one of the most demanding garments I think, esp if you’re doing it in pieces which I have never done yet. I prefer doing seamless cardigans for now. This cardigan has to be my favourite of all 3 so far. I love my Febuary Lady Sweater and my Liesl but somehow the FLS fit is not quite right and the Aran Silky Merino I used for the Liesl is pilling rather terribly. I’m hoping the Sport Merino will hold up much better. 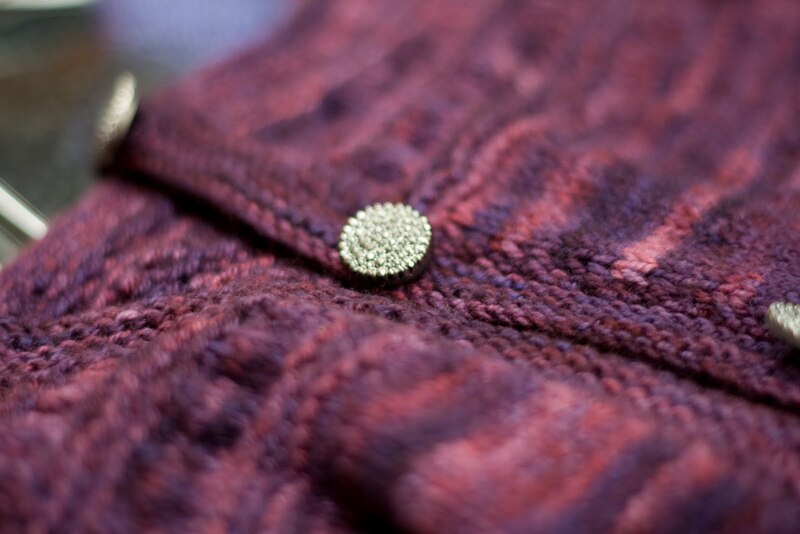 The buttons are a great Etsy find from Lilian Olive. She has a lot of beautiful vintage buttons. I love wearing this! The fabric is quite dense and gives enough warmth. The colour is amazing too. Notes: Supposedly my NaKniSunSweMo 2009 project but got shoved into the backburner for a good long while. Ran out of yarn 9 rows away from finishing the second sleeve. Sundara so kindly agreed to dye another batch of the yarn for me. When I went to Manila in March, I bought the leftover Poppy and a pair of needles just in case I get bored. Well, I did and managed to cast on and knit this cute hat. Does it need a pompom? 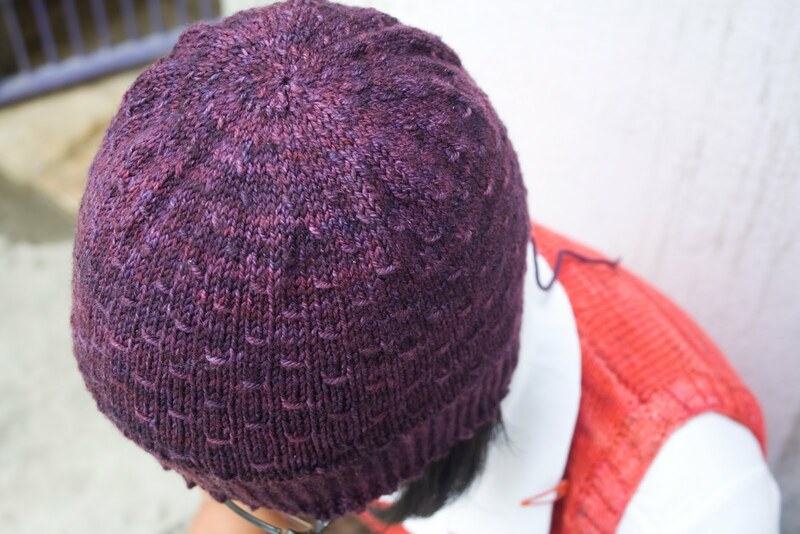 Notes: I loved the stitch pattern on this! So easy to do and memorize. Perfect for leftovers since it doesn’t take a lot of yarn. 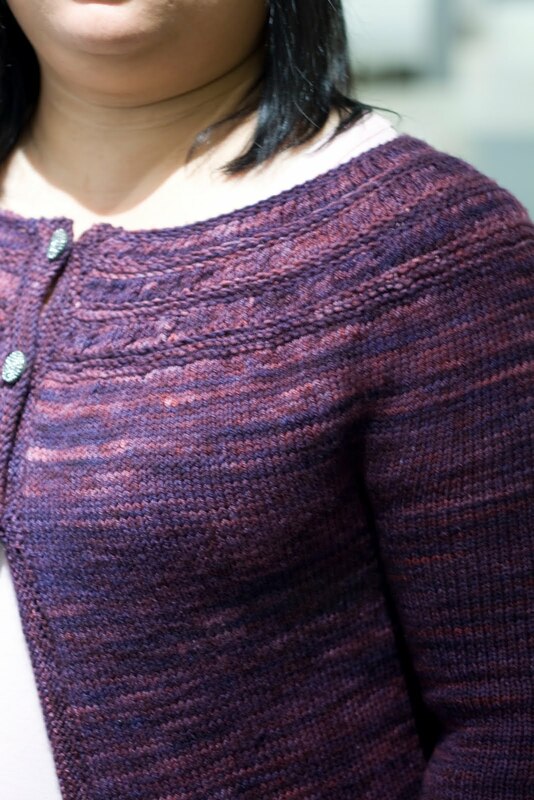 My next Sundara project will definitely be my Featherweight cardigan out of Flaming Flamingo FSM. Can’t wait! Ooh Sundara – me loves!!! !